Native to the Northeastern United States, Canada, Washington and Idaho, the water lily is a showy, fragrant flower that brings diversity to our wetlands. The leaves and flowers float on top of the water, allowing the aquatic plant the ability to pollinate and breath. The water lily’s rhizomes are busy submerging themselves in the mud to absorb nutrients for the plant’s survival and growth. Water lilies, also known as Nymphaea, have an unusual reproduction system. The first day the water lily is in bloom, fluid covers the center of the flower containing the female reproductive organs. When an insect becomes trapped in the flower's sticky center, the lily’s fluid will absorb the pollen left on its victim’s body. If no insect visits the flower on the first day, the sticky fluid will dry up and pollen is released in its place. 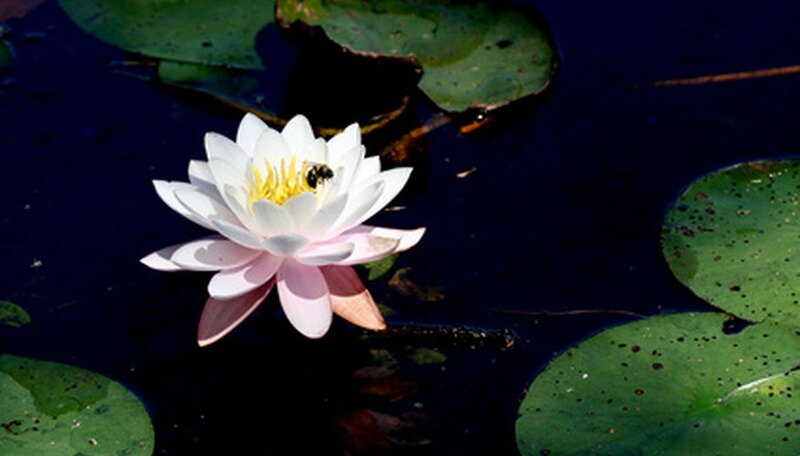 When the water lily becomes pollinated, the flower and stem sink into the water and a berrylike fruit develops. Water lily seeds are contained in an underwater, spongy, berrylike fruit. Ripe fruit will release about 2,000 seeds. The newly released seeds float to the water's surface where the current disperses them throughout the pond. As the seeds absorb water, they sink to the bottom and submerge themselves into the mud, where rhizomes begin to grow. The stem will sprout from the main rhizome and rise to the surface of the water. It will then produce a leaf that is flat, round and water-repellent. The underside of the leaf is dark purple or red, allowing the plant a maximum ability to utilize photosynthesis. The leaf’s stem works to transport air from the surface, down to the underwater rhizome. 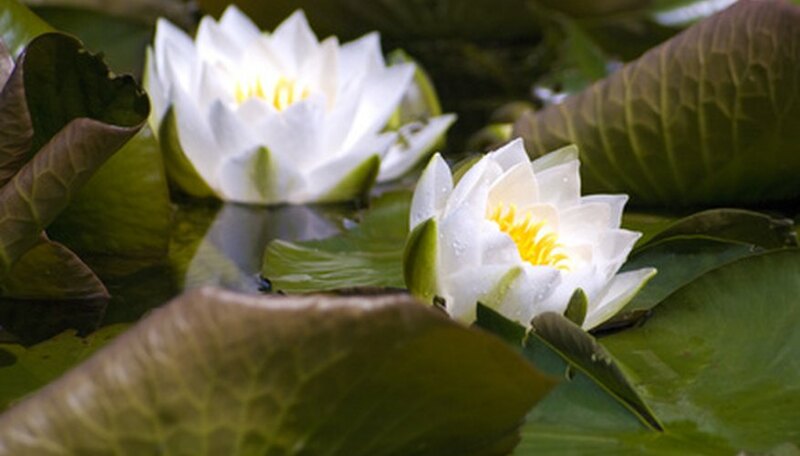 Each American white water lily rhizome will create a stem that produces one fragrant flower that is 2 to 6 inches across. The blossom opens in the early morning and closes by noon. Healthy water lilies will become dormant in the autumn. The rhizomes can survive in cold, but not frozen, water throughout the winter season. Water lilies are perennial plants that will continue to grow, reproduce and spread rhizomes throughout the warmer months. The plant develops best in calm freshwater, with no rough currents that may disturb the plant's rhizome and stem.